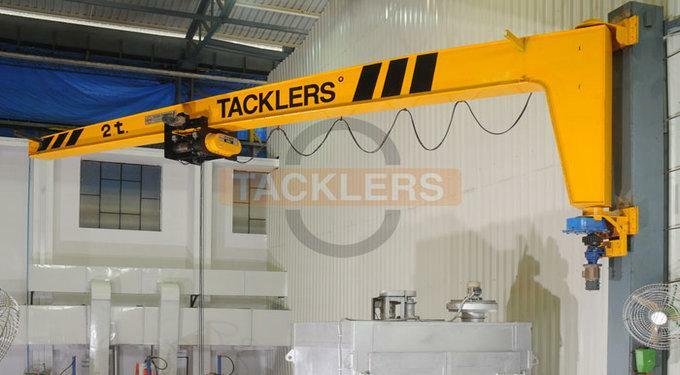 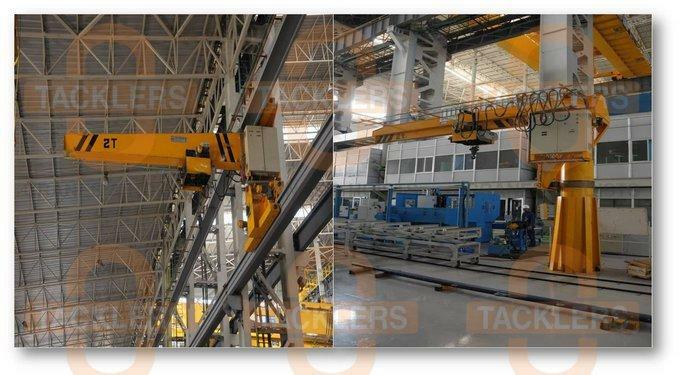 TACKLERS Manufacturers Industrial Pillar and Wall Mounted Jib Cranes are built to consistently high specification confirming as per IS-807 and IS-3177. 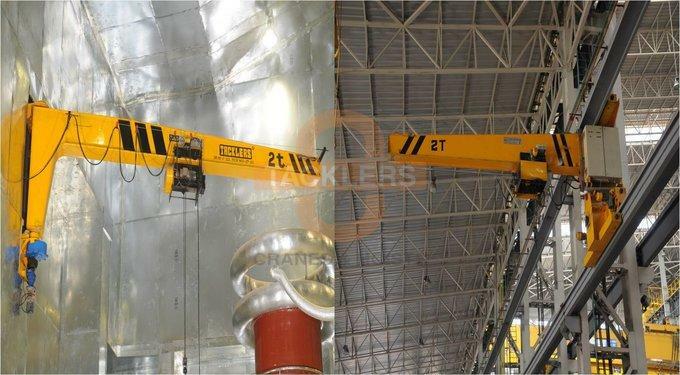 Slewing Jib Cranes is perhaps one of the most multipurpose pieces of Lifting Equipments. 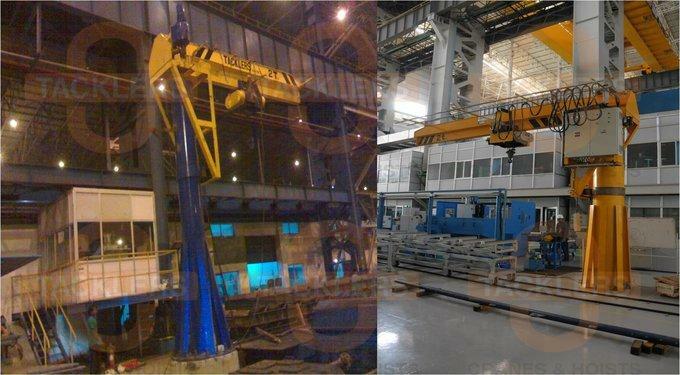 It supports Overhead Cranes on production lines and keeps workstations, machining cells and warehouses in operation. 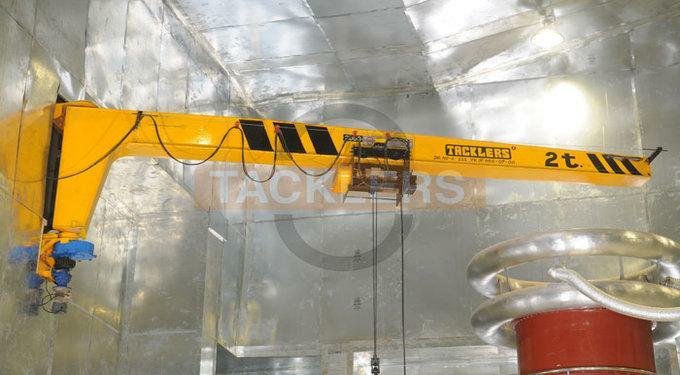 Height of Lift: Up to 10 Mtrs. 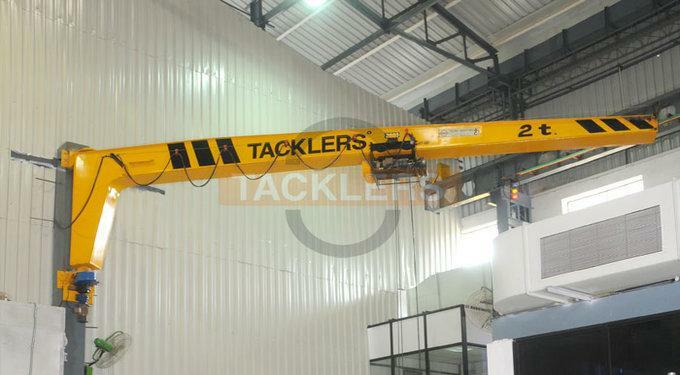 Boom Length: Up to 6 Mtrs.